Students visit with leaders in Warren County, N.C., about the roots of the environmental justice movement. 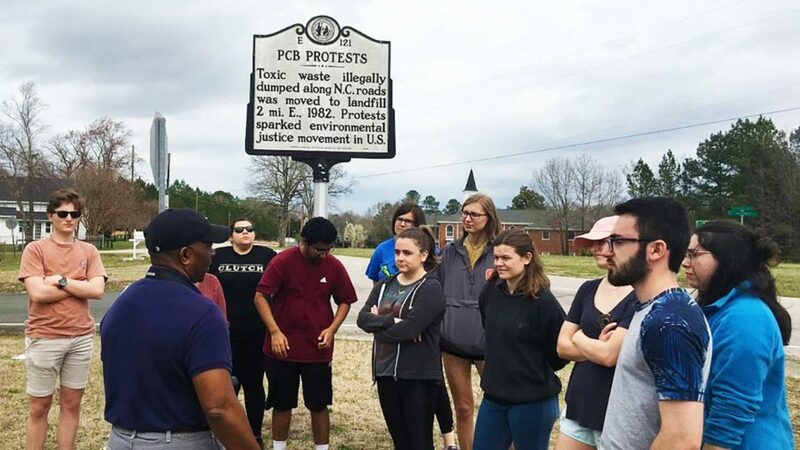 In eastern North Carolina, about a dozen students explored environmental justice issues related to clean water, air, and renewable energy. They visited the Lumbee Tribe, learned about water quality concerns along the Cape Fear River and helped with hurricane recovery efforts in the Wilmington area. Students also visited Warren County, the birthplace of the environmental justice movement. The trip also highlighted solar installation development in the rural counties. This trip was a partnership of Alternative Service Break, the University Sustainability Office and Climate Reality Project, which received an NC State Sustainability Fund grant for the educational experience. Every year a group of students from EcoVillage, NC State’s sustainability-focused living and learning village, visit a city to explore urban sustainability. 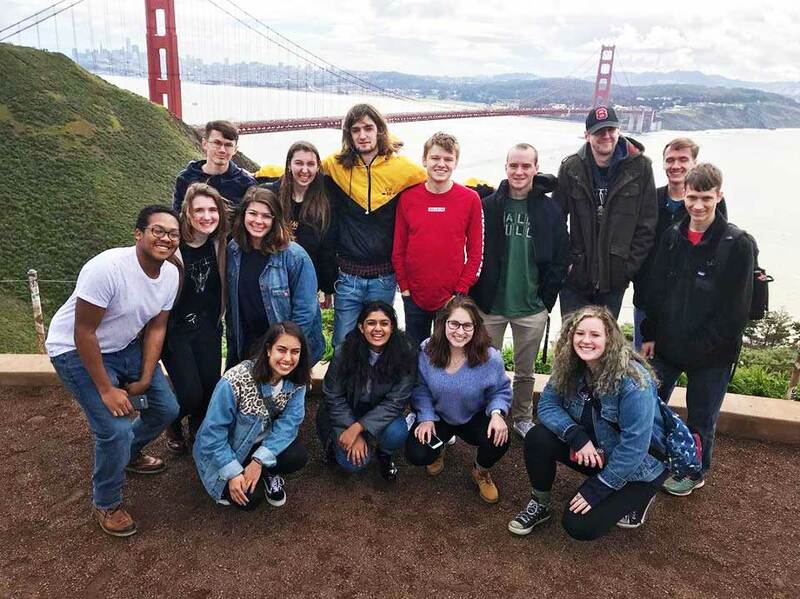 This year in San Francisco, students learned about affordable housing, transportation solutions such as bikeshare, watershed planning and green infrastructure, urban agriculture, conservation and low-impact buildings. EcoVillage students pause for an iconic photo during their tour of sustainability efforts in San Francisco. 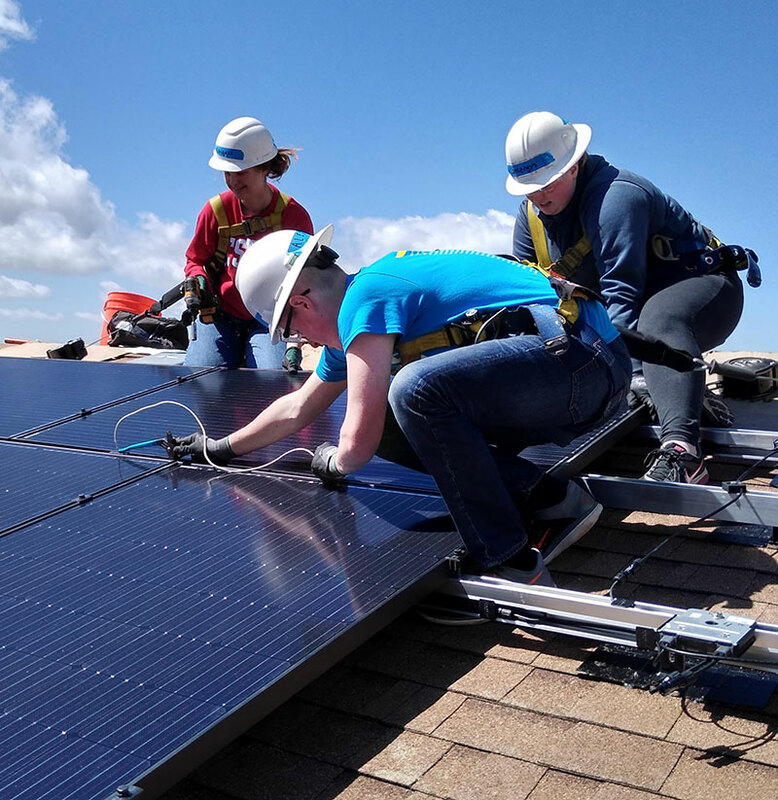 NC State Leadership and Civic Engagement coordinated more than a dozen additional Alternative Service Break trips, many of which have sustainability themes. Trips included sustainability and ecotourism in Costa Rica, water purification in the Dominican Republic and installing solar panels in low-income areas of California. Meanwhile, some students boosted sustainability without leaving campus. Graduate-level landscape architecture students are designing and building a sustainable landscape outside Syme Residence Hall. Spring break was a perfect opportunity to make progress before the big reveal later this semester (sign up for an upcoming tour of the project).